Can I see a show of hands– how many of ya’ll are experiencing some major skin woes this winter? This was my first winter in the desert, so I’ve definitely had to observe and tweak my skin care routine accordingly. Having acne-prone skin while simultaneously needing extra moisture… heavy products are risky for me, but I need that hydration! Especially coming back from vacation where I was in hot, humid weather and now returning to dry and windy, my skin’s flipping out. My combination skin is extra combo lately, so I’m trying out a new moisturizer to help tame things down a bit. 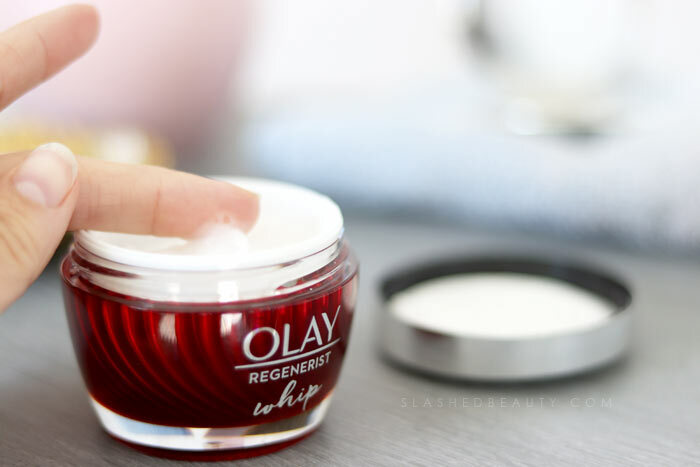 Over the next month, I’m going to be testing out the brand-new Olay Regenerist Whip Moisturizer. I was really excited to see this recently hit shelves at Walgreens, because it’s supposed to offer powerful results with a lightweight feel and matte finish. I really dislike having an overly dewy or even tacky feeling after moisturizer, so this finish is perfect for both bedtime comfort and makeup prep. The formula is fluffy and thin when spread, but this moisturizer is designed to hold and quickly release 1000x its weight in hydration and active ingredients. 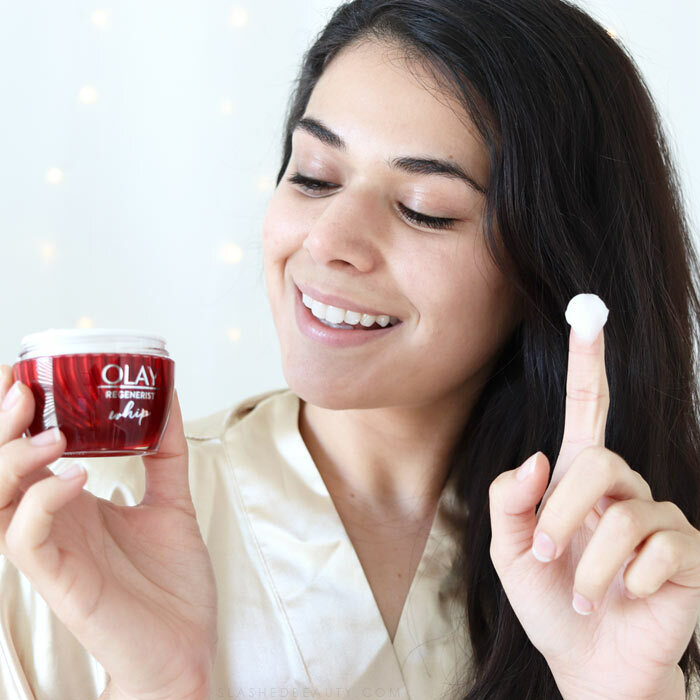 This technology (which they’re calling “Active Rush Technology”) is what’s going to make the difference for my winter skin, offering as much moisture as a heavy cream without the heaviness. Because it’s lighter, it’s immediately absorbed without any residue leftover. I don’t feel like it’s sitting on top of my skin— I feel it working. 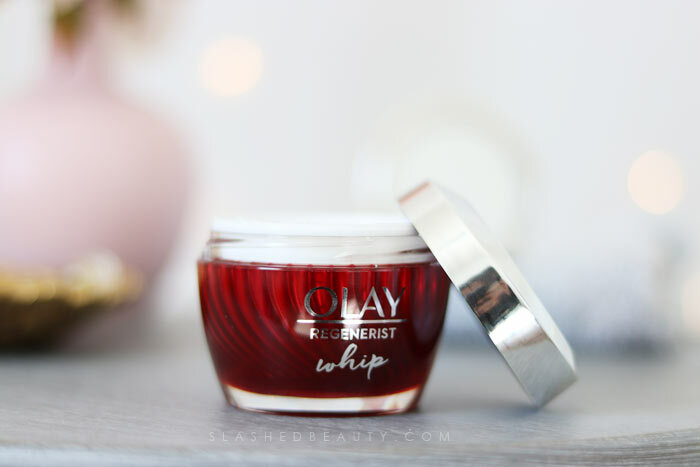 Aside from moisture, the Regenerist line as a whole is designed to reduce the look of fine lines and wrinkles and improve elasticity for firmness. I’m not experiencing wrinkles quite yet, but it definitely helps smooth out other skin texture issues. I also benefit from the Amino-Peptide Complex II which helps regenerate surface cells. This helps me tone more quickly and heal breakouts faster. While I love it already after only a few uses, I really want to see the effects on my skin over a month and change before I call it a fave. Be sure to follow me on Instagram to keep up with my thoughts as I use it daily! Meanwhile, if you want to try it along with me, you can get $5 off your purchases of Whips at Walgreens with eSaver. Click here to save. What’s your current go-to moisturizer? The original was too heavy for me so I like that Olay has a lighter version. I love that it has a fluffy and thin texture! It sounds like a very effective moisturizer. Does it have a heavy or light fragrance? The Whips line is a MUST! I love it! 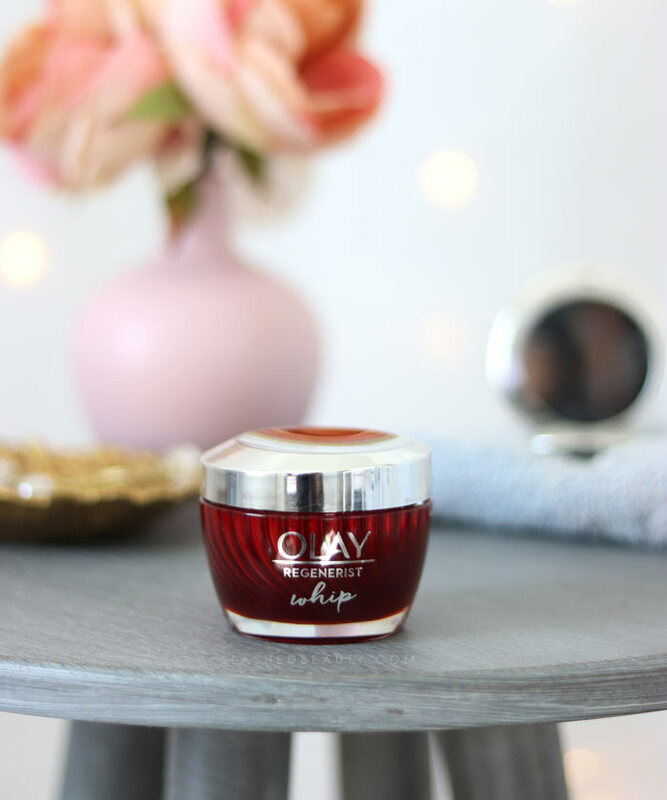 I’m a big fan of Olay and the texture of this product looks lovely! Wow, you make me want to give this a try for my dry skin. This sounds super smooth and soft! Can’t wait to see what you think at the end of the month. I keep seeing this everywhere. I need a new moisturizer, so I think it’s time I finally try it! Starting good skincare when in your 20’s is such a great idea. Glad to see Olay looking out for all ages. This one sounds amazing! I love the original so I need to check out whips! I definitely want to try this new Regenerist!